A unique window into Japanese folklore, a comedy of modern failings, and an elegiac tale of unlikely heroes fighting insurmountable odds. As civilisation draws ever nearer to their idyllic forest home, a group of mischievous Japanese tanuki raccoons try to scare humans away. But they soon discover that man is not their only rival in the struggle for their age-old territory. 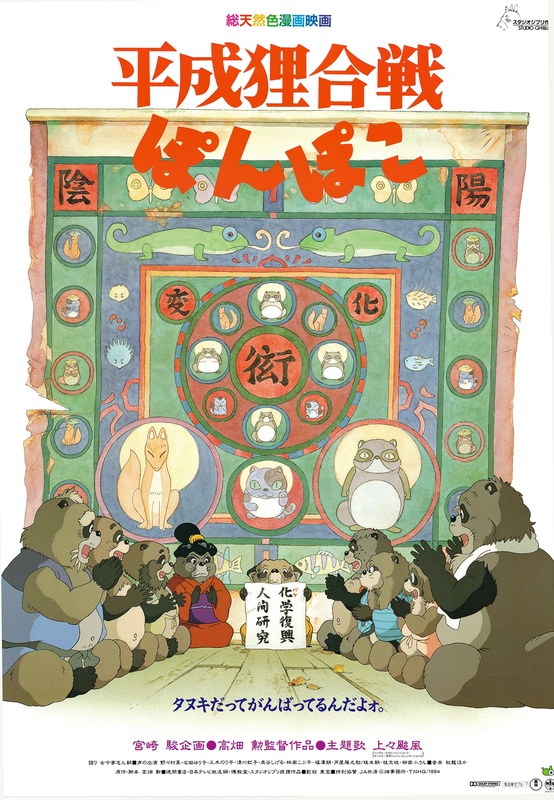 Released in 1994 as the Japanese economy slumped, but looking back to the sixties construction boom in Tokyo’s Tama Hills, Pom Poko questions the money-grabbing ethics of yuppie Japan, and mourns the loss of the countryside. Drawing on Japanese myths and legends, writer and director Isao Takahata presents a satirical view of woodland spirits using every available magical ruse to take on the modern developers: including transformations, sabotage and trickery.